15 Easy Life Improving Tips - Something New Everyday! The modern rat race can cause us great stress and leave us with little to no time to take care of our health and bodies. However, there are quick and easy ways to improve our lifestyle, improve our mood and improve our health, and they only take about 60 seconds each. Even if you only turn some of these into habits, you'll still enjoy a happy and healthier life with little effort and time. We all get nervous and stressed, whether it be because of work, traffic or even household chores. In our most stressful moments, it's vital to remember that we have an innate relaxation mechanism. Taking deep, controlled breaths for 60 seconds when feeling stressed or tired can completely alter your state of mind. Deep breaths lower your blood pressure, slows down the production of stress hormones and helps to ease anxiety and internal disquiet. Hugging feels great on its own, but it also has scientifically-proven health benefits, such as lowering blood pressure and stabilizing the heart rate. Hugging releases dopamine - a natural painkiller and can reduce cortisol levels (a stress hormone). A hug can give you more mental energy, and help you handle most obstacles. There's a reason laughter has a reputation for being the best medicine. It's one of the body's natural painkillers and shares several physiological functions with exercising. William Fry, one of the pioneers in laughter research, claims that using a rowing machine for ten minutes exercises the heart to the same extent as one minute of laughter. Laughter also improves your memory and burns calories. If you're feeling down or even somewhat depressed, a little smile (even a fake one) can change your mood. Isn't it great to know that some delicious treats are actually good for us (in moderation)? Dark chocolate is beneficial for your health, it lowers blood pressure, raises the levels of "good cholesterol" (HDL) and reduces the levels of "bad cholesterol" (LDL). 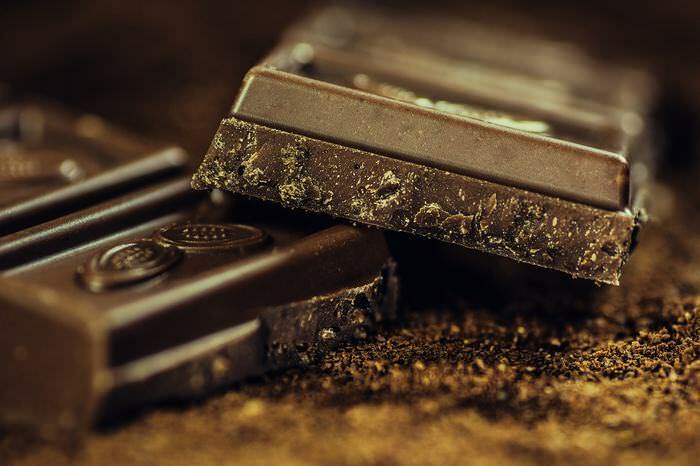 Dark chocolate is also known to be beneficial to the cardiovascular system, and some evidence indicates that it can prevent diabetes and even keep your skin healthier. Most of us spend our days sitting down: Working, driving and watching TV are just a few of things we do while sat in a seat. A recent research paper found that prolonged sessions of sitting can induce psychological distress. Another study has found that women who sit for 10 hours a day or more are at a higher risk heart and cardiovascular disease when compared to those sitting for only 5 hours a day. Even standing up for a few seconds will improve your circulation significantly. You may think it's obvious, but this simple and quick action can protect your health more than you can fathom. Most people wash their hands before eating or after visiting the restroom, but washing your hands with soap more times a day will reduce your chances of getting sick by 20-30%. Remember to moisturize your hands from time to time. As trivial as it may seem, this easy action takes about five seconds and saves thousands of lives every year. Think about it: You're not climbing Everest or running a marathon. You're simply reaching back, and pulling on a belt. This is particularly important when you have children in the car. So don't be lazy and think about comfort first, it's better to "waste" ten seconds than risk your life. 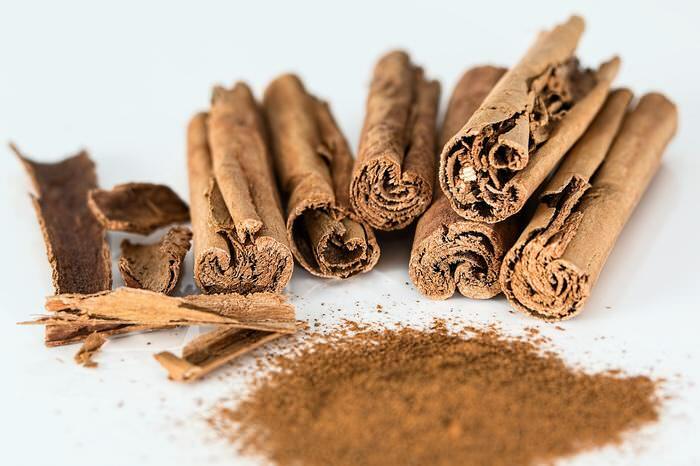 Cinnamon has a variety of medicinal properties, including helping with diabetes by reducing blood sugar levels. Cinnamon is also beneficial in fighting obesity, lowering bad cholesterol levels, and it even warms up the body on cold days. You can add cinnamon to your breakfast by mixing it in your yogurt, oats, cereals and even your coffee. It doesn't matter if you live in a sunny place or not, UV light is still there, and it's still harmful. Avoiding the #1 cause of skin cancer takes no effort and very little time – simply put on sunscreen before you leave the house. It doesn't matter if we're late, busy or even just lazy, most of us don't' engage in physical exercise in our free time. The modern world doesn't give us many chances to walk: we get in the car or on the bus, use the elevator and sit at our desks. This is why it is vital that we take every opportunity to exercise. Instead of waiting for the elevator, take the stairs and burn some extra calories. It will also help you avoid stiff muscles and joint pain. If you have a desk job or are just an avid technology lover, it's safe to say you spend a lot of time in front of a screen. Staring at the screen for so many hours is bad for your eyes, so it is crucial to take frequent breaks. The best method is the "20-60-20": every 20 minutes look away from the screen at an object 60 feet away for 20 seconds. If you can, take a moment to walk around the office. 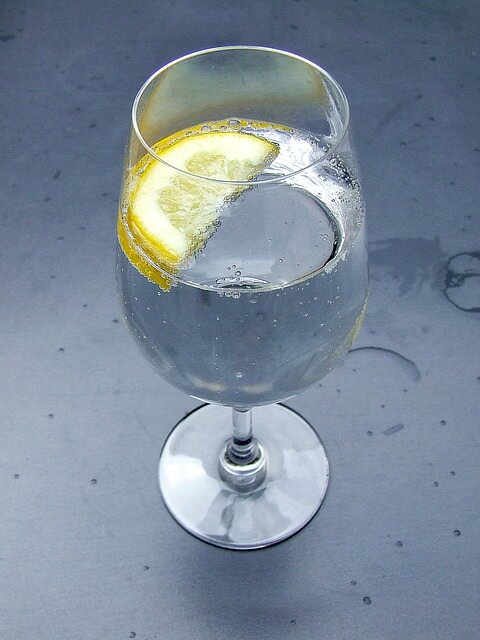 Adding a slice of lemon to your water is not only refreshing, but also has many health benefits. Lemons are a superfood and are considered to be one of the most efficient detox agents, making them a great addition to your diet. It doesn't matter how tidy you keep your desk, it still gets covered with germs. Take a minute to wipe down leftovers and crumbs, which are the main source of bacterial contamination in your workplace. Use an antibacterial wipe on your keyboard and mouse, they are the most used items on your desk that come in contact with your hands regularly. 60 seconds of lying down with your legs raised up and leaning against a wall energizes the body as much as a half-hour nap. Rest your arms at the sides of your body and remain like that while taking slow, deep breaths. Studies have shown that this position helps the blood in your legs to flow back to your chest and head. Researchers from the University of Swinburne, Australia found that chewing gum improves your levels of alertness and reduces stress. Behavioral specialists recommend chewing gum before an important meeting, a job interview, and while driving. The reason is that chewing gum tricks the body into thinking it's eating, something we associate with being safe and having nothing to fear.